Energy harvesting is the principle of extracting unused energy from the environment for an application. Especially with the progress of miniaturization and reduction of power consumption for micromachined devices, energy harvesting enables true autonomous power supply for wireless sensor systems. Thus, to introduce a health monitoring system (HMS) in aircraft an energy harvesting powered wireless sensor network seems to be the perfect solution to avoid large installation efforts. 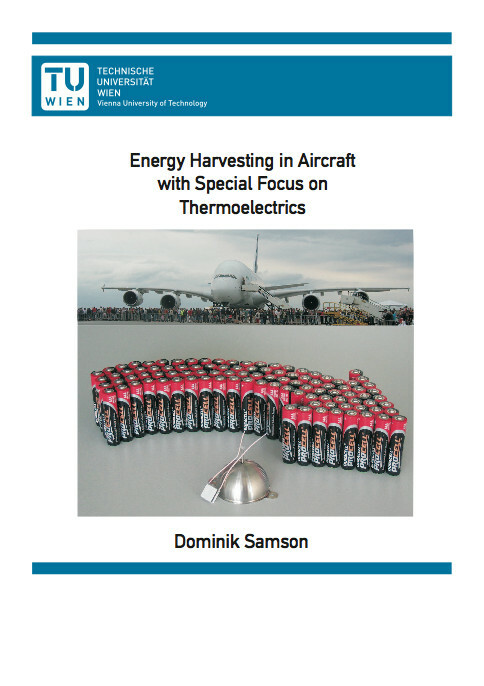 In this context the energy harvesting options within an aircraft structure are evaluated, focusing on thermoelectric energy harvesting. Additionally, aspects of an efficient power management circuit board for low input voltage conversion and energy storage, which is mandatory for the energy harvesting powered sensors, are analyzed. A low power wireless sensor node (WSN) is also presented. As a first energy harvesting application an energy source for a wireless and flexible passenger surveillance seat sensor system is introduced. Finally, a special ’phase change heat storage device’ for thermoelectric energy harvesting for aircraft HMSs is developed, simulated and experimentally tested. The feasibility of the later harvesting concept is proven in a flight test.